We’re well into a new year of gaming excitement, but that doesn’t mean we can’t have a one last peek at 2018! It’s been 12 months filled to the brim with growth and incredible projects for QLOC. 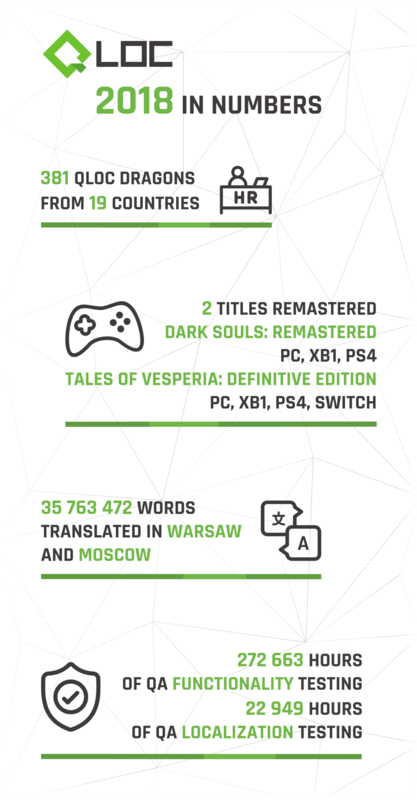 Take a look at the numbers yourself in the quick summary we’ve prepared for you!